Anyone can give clothes or toys to a family with a new baby or expecting one soon. While these are nice gifts, they often don’t last long, as babies grow and age quickly. For your next newborn gift, consider giving a gift the family will remember and cherish for years to come. In this blog, we’ve rounded up some of our favorite unique newborn gift ideas, at all price points, to celebrate the new addition. To write this blog, we polled a handful of new moms to find out which baby gifts were the most meaningful and memorable to them. As you shop for a gift for your next baby shower or for the next newborn in your life to arrive, consider one (or more!) of these unique newborn gift ideas. 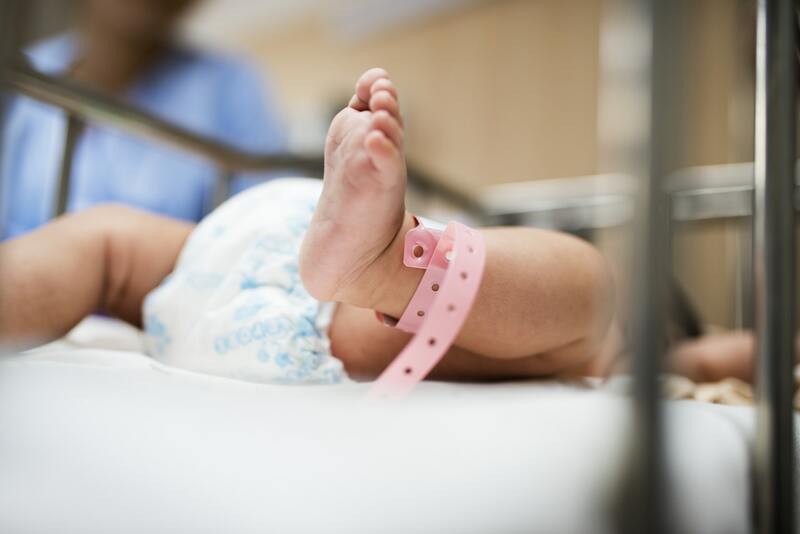 Little Prints Gift – Most hospitals no longer take inked prints of the tiny hands and feet of newborn babies, opting for digital print scanners instead. Many families find themselves incredibly disappointed to miss out on this age-old tradition. Help the new parents in your life capture the moment with a Little Prints Gift from Birthday Keepsakes. These keepsakes provide everything the parents need to stamp, record, and save the tiny prints before they grow. This thoughtful gift is sure to be a big hit for anyone with a new baby or expecting one soon. Gift Card to a Local Photographer – Clothes, toys, and diapers all eventually lose their luster. By giving a photography gift card, you’ll help the family capture the memories and save them forevermore. Many photographers offer newborn photo shoots, sometimes even right in the hospital, that are designed to capture all the sweet features of a new baby. The new moms in your life will love this thoughtful idea. Meals – While it might not be the most exciting gift, bringing a warm and prepared meal to any family with a new baby is an incredibly kind and helpful gift. All new moms agree, not having to worry about cooking dinner is one of the best things you can do for them. Gift Certificate to Birthday Keepsakes – Birthday Keepsakes offers a whole host of special gifts to help families document the addition of a new baby to the family. By purchasing a Birthday Keepsakes gift certificate for the newest member of your circle or for the next baby shower you will be attending, you can allow moms and families to decide which design and keepsake is their favorite. 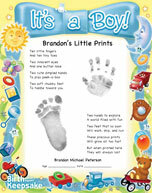 They can choose from Day-You-Were-Born prints, Name Wish Poems, personalized books and more! Purchase a gift card here. 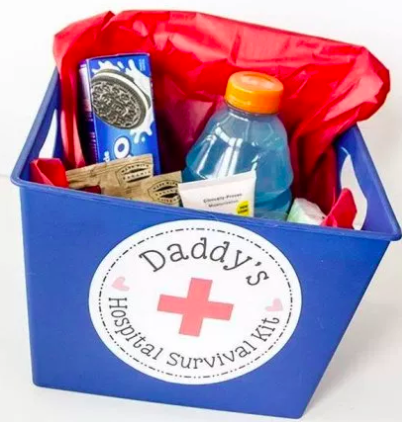 Newborn Survival Gift for Dads – Typically speaking, when it comes to newborn gift ideas, the mom gets most of the consideration. However, we ought not to forget the dads! Half Pint Peeps put together these hilarious, and highly practical, newborn gift ideas for dads. These gifts consist of anything from beer to snacks and are designed to get dads through this transition period. Check out some of their ideas here. All new parents agree, having a newborn is a huge blessing but also a really hard transition. Giving a gift that will help them through this time and remind them in the coming years just how fleeting it is makes for the best gift. Giving one of these unique newborn gift ideas will do just that for the people in your life that have recently had a baby or will have a new baby soon. Looking for other unique newborn gift ideas? Look no further than Birthday Keepsakes. We offer one-of-a-kind personalized gifts for newborns and babies-to-be that help families document the day and capture the moment before their babies grow up. Shop our unique newborn gift ideas on our website.